Lee Chong Wei made his first public appearance since his shock nose cancer diagnosis was announced in September. After undergoing successful treatment for nose cancer, badminton star Lee Chong Wei on Thursday announced that he is planning to return to the court soon. The 36-year-old, who was making his first public appearance since September said that his recovery has been on track and is looking to start the training sessions as early as next month. The former world no.1 insisted that he had no intention of retiring and mentioned that he is looking forward to competing at the All England Open scheduled to take in March 2019. "I finished all my treatment... and have recovered very well," a cheerful and a healthy-looking Lee said during a press conference in Kuala Lumpur. "This is my dream. 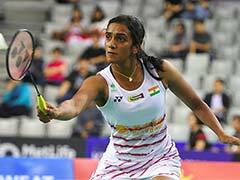 But health is most important," he said, adding: "I just try my very best because I love my country... and I love badminton." Nose cancer is perhaps the biggest blow suffered by Lee, who was banned after testing positive for a proscribed anti-inflammatory at the 2014 world championships. Lee returned to the sport in 2015, after authorities accepted he took the drug inadvertently.